Want to be notified when the MII Intel Apollo Lake J4205 Mini PC HD Graphics 8GB LPDDR4 / 128GB SSD / 2.4G + 5.8G / WiFi 1000Mbps / USB 3.0 / BT4.0 gets even cheaper? Make sure you snag the best price by entering your email below. We'll email you when the price drops, free! 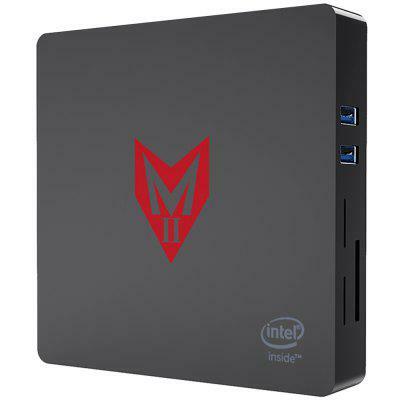 We're tracking the price of the MII Intel Apollo Lake J4205 Mini PC HD Graphics 8GB LPDDR4 / 128GB SSD / 2.4G + 5.8G / WiFi 1000Mbps / USB 3.0 / BT4.0 every day so you know if that deal is really a steal! Check back for to check the best price for this product - and whether its current sale price is really the cheapest it's been! No MII Intel Apollo Lake J4205 Mini PC HD Graphics 8GB LPDDR4 / 128GB SSD / 2.4G + 5.8G / WiFi 1000Mbps / USB 3.0 / BT4.0 coupons found!